Watergate Day happened in 1972 when five men were arrested for breaking into the Democratic Headquarters. The men were tied to President Richard Nixon’s reelection committee. Over 60 people were indicted. Ultimately Richard Nixon resigned in 1974 because he was about to be impeached. Mark Spitz in 1972 became the first person to win seven gold medals in one Olympic competition. He received gold medals in: 100 meter freestyle, 200 meter freestyle, 4 X 100 meter freestyle relay, 4 X 200 meter freestyle relay, 100 meter butterfly, 200 meter butterfly, and 4 X 100 meter medley relay. His record lasted until Michael Phelps won eight gold medals in the 2008 Olympics. Guadalupe Mountains National Park was established in 1972. Located in the Guadalupe Mountains in west Texas, the park encompasses over 86,000 acres. Interesting fact – the park contains a marine fossil reef that is 265 million years old! Children could visit the park’s website at: http://www.nps.gov/gumo. First female FBI field agents completed basic training. In 1972 Susan Lynn Roley and Joanne E. Pierce graduated from Quantico, Virginia. Today over 2,000 out of almost 14,000 agents are women. Pong was released by Atari in 1972. Pong was the first video game that was financially successful. Initially created as an arcade game, it was later sold to home gamers. The game set off a huge amount of research and development. Today video games account for about $67 billion in revenue a year. Apollo 17 was launched into space in 1972. Commander Eugene Cernan, Command Module Pilot Ronald Evans, and Lunar Module Pilot Harrison Schmitt landed on the moon December 11, 1972. They used the Lunar Roving Vehicle on their three moon walks. 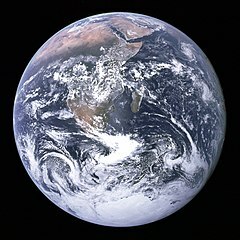 Other studies included photography, and one photo, The Blue Marble, is especially famous. The astronauts returned to earth December 19th. The mission was the last manned trip to the moon. Children can visit NASA’s site for junior scientists at: http://spaceplace.nasa.gov/. Buffalo National River was established in 1972. Located in northern Arkansas, a lower stretch of 135 miles of the Buffalo River is a national river. 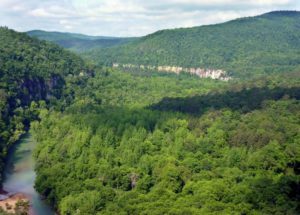 An upper stretch of eighteen miles is part of the Ozark National Forest. Children could learn more at: Buffalo National River. Cameroon celebrates Republic Day. Declared a republic in 1972, Cameroon, according to the CIA World Factbook, is about the size of California. Its climate varies from tropical in the south to semiarid in the north. About 20.5 million people live in this African country, with most of the population located in the south. Approximately 70 percent of the population are farmers. Yaoundé is the capital.